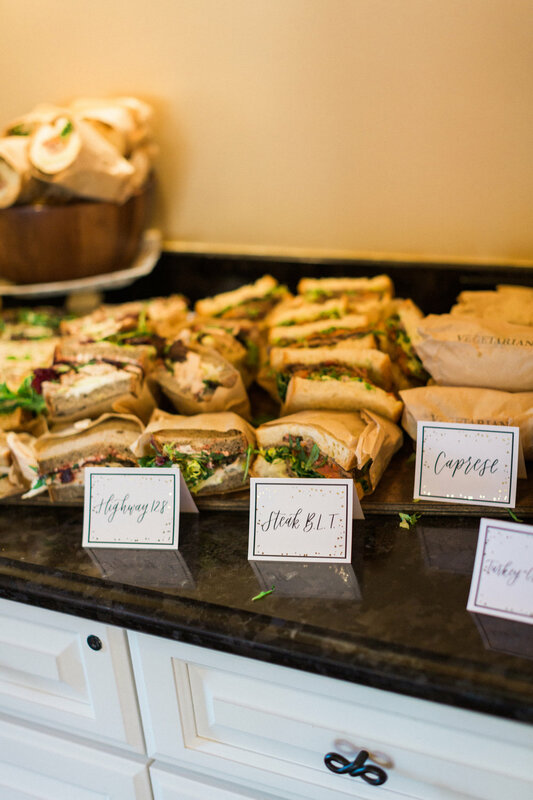 This baby shower was one for the books! 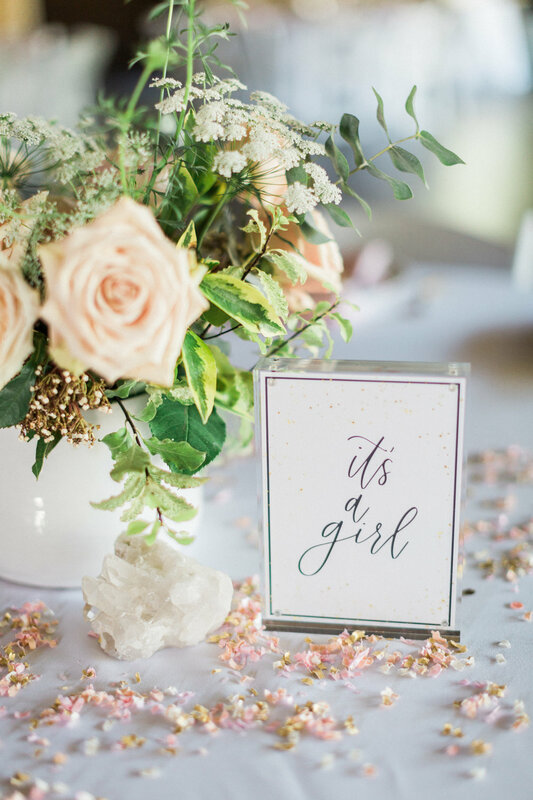 Golden Arrow Events and Design seriously knocked it out of the park with every little detail for this beautiful baby shower. 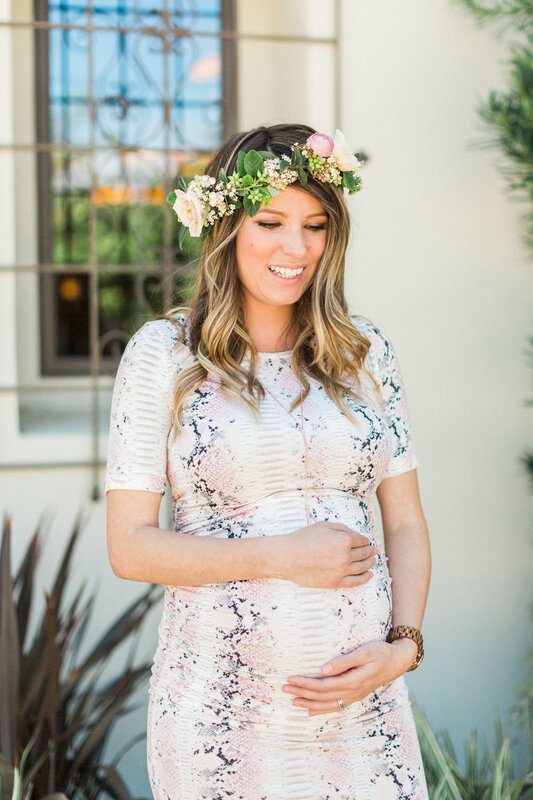 Their beautiful balloon arches, the gorgeous table settings - all of it was so special for the mom-to-be, Danielle. I designed their invitations based on their pink. white and gold palette with very small hints of black. I carried this design through the day of pieces such as the table quotes, meal cards and welcome sign. One of my favorite pieces was the laser cut I designed that was cut by the wonderful Creative Amme. It looks so beautiful over the dessert table by Elise Cakes! The floral centerpieces are really what brought it all together with the talents of Penelope Pots Floral Design. Let me tell you, this girl is seriously magic with her blooms. Her collection of table top decor, votives and vases is stellar - it ties the perfect bow on any table setting. Congratulations, Adam and Danielle on your little baby Camden! Can't wait to snuggle her soon!